Research shows since 1980, the occurence of weather related disasters has increased by more than 230 percent. According to AccuWeather, natural disasters have affected 217 million people every single year since 1990. The SERVPRO Commercial Large Loss division is composed of our best of the best in restoration. Our elite large loss specialists are prequalified and strategically positioned throughout the United states to handle any size disaster. The SERVPRO Disaster Recovery Team can provide help whether you're dealing with a tornado,hurricane,blizzard or flood. 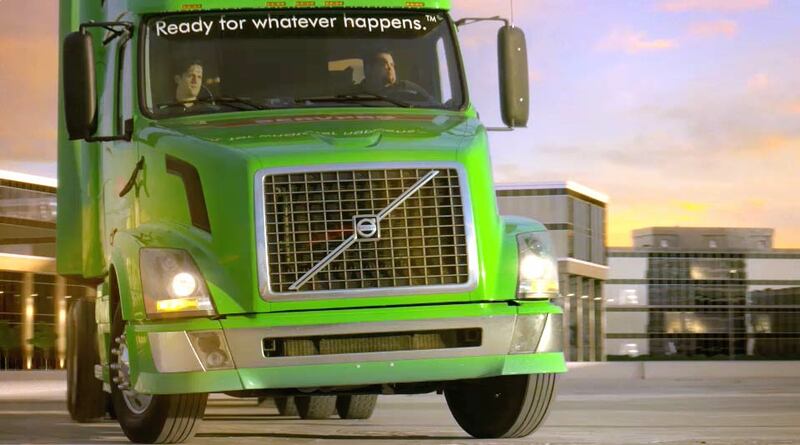 At SERVPRO of Lebanon/Hanover/Littleton, the difference is our ability to dispatch trained production professionals and cut costs through strategic placement and oversight of temporary labor. 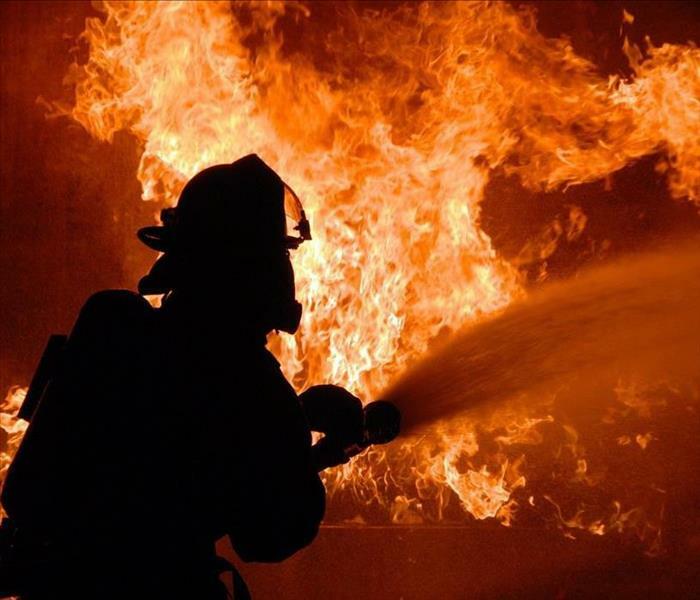 With the ability to mobilize local command centers,along with the resources of more than 1,650 franchises nationwide, no disaster is too big. 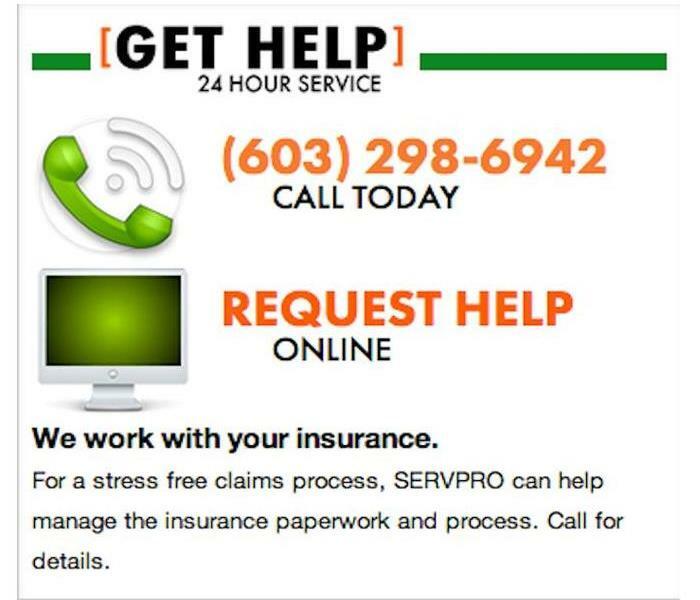 Available 24 hours a day and 365 days a year, SERVPRO of Lebanon/Hanover/Littleton professionals are prepared for the unpredictable. Should a storm or major event strike, call 603-298-6942. 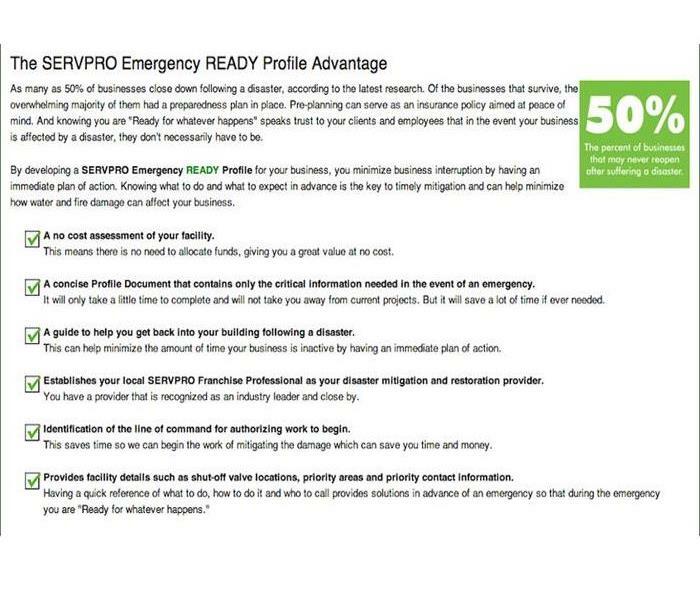 Be prepared with the SERVPRO ERP!